Roof damage claims can be difficult to navigate for many policyholders in large part because roof damage is often difficult to accurately assess. Insurance adjusters may incorrectly attribute storm-related roof damage to preexisting factors or routine wear and tear. 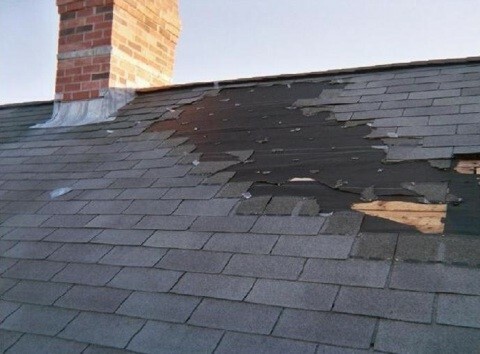 In some cases, roof damage may exist but remain undetected for long periods due to the claim adjuster’s neglect to thoroughly investigate and evaluate the extent of damage. Call us at 800-572-7914 today or contact us online for help filing your roof damage insurance claim. At Insurance Claim Consultants, our public adjusters use cutting-edge roofing and moisture mapping technology, allowing us to properly substantiate and document roof damage claims of all types and sizes. With decades of experience winning the largest possible claims, our team is dedicated to helping our clients win fast and accurate roof claim settlements. Is Your Roof Damage Covered by Insurance? Most property insurance policies are not designed to cover routine wear and tear of your roof. Instead, policies aim to protect your investment from sudden and unforeseen roof damage. However, insurance providers all too frequently deny claim settlements for roof damage by incorrectly attributing sudden and unforeseen damage to pre-existing conditions or natural degradation. Get more expert answers about roof damage claim by visiting our FAQs page. Our public adjusters are Haag Certified Homeowner, Commercial and Wind Damage Inspectors. This certification requires extensive training and experience, making our roof damage claim adjusters well suited to quickly and accurately inspect and assess the extent and type of roof damage. Haag Certification is a highly valued credential in the roofing and insurance industries and throughout the roof damage insurance claim process. Most importantly, this certification brings significant credibility to all findings we document on behalf of our clients, helping us expedite the process toward fast and fair claim settlements. If the adjuster from your insurance company undervalues the damage to your roof, you have options at your disposal to adjust your settlement. The team at Insurance Claim Consultants is committed to working swiftly and aggressively to win you the settlement you deserve so you can get your life back on track. Our 100 percent success rate at winning our clients larger claim settlements speaks volumes for why our clients choose us. Our services are free if we can’t increase your roof damage insurance settlement. It’s that simple. Contact us today to get started. The team of professionals at Insurance Claim Consultants helps clients throughout Florida get the highest settlements possible for all types of roof damage.